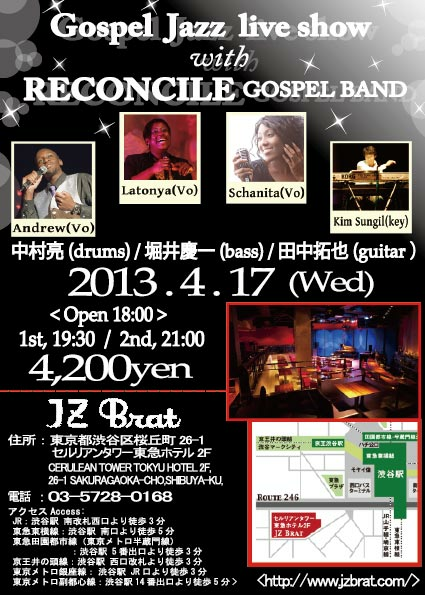 LaTonya will be singing at a Gospel Live Jazz Show with Reconcile Gospel Band. 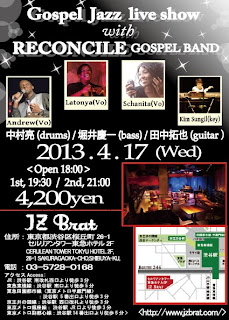 The event will take place on April 17th at JZ Brat in Shibuya. For more information, please check the flyer!